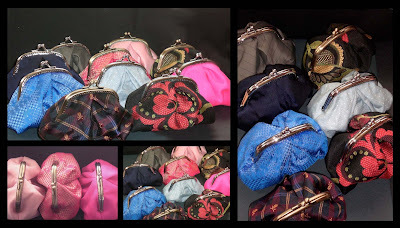 Here are some pictures of small purses I made for a special order. As my deadline was getting closer, I just had time to take these quick pictures. Pfffew! Luckily, I have enough fabric to make more! C'est tout à fait charmant!